We Pay Top Dollar For Wrecked, Damaged, Broken, Unwanted, Junk European Vehicle, Bad Or Totaled Engine. We Pay Top Dollar In Cash For Used or Wrecked Vehicles. Get Up To $7000. European Car Salvage provide professional cash for European cars removal in Auckland. We offer FREE Towing, We Come To You and we Pay Cash For Your Unwanted Car On The Appointment Date. We buy all cars for instance BMW, MINI, MERCEDES, AUDI, SEAT, SKODA, PORSCHE, SAAB, VOLVO, PEUGEOT, RENAULT, CITROEN, ALFAROMEO, FIAT, JAGUAR, LAND ROVER, CHRYSLER, FORD, VOLKSWAGEN AND OPEL. Volkswagens is a popular German vehicle worldwide. One of the most awarded and highly rated car would be the Amarok, is a Volkswagen creation. So it is with great passion that we are prepared to pay top cash for any Volkswagen car, whether it’s a Polo, Golf, Beetle, Caddy , Tuareg, Passat or any other Volkswagen vehicle. Whether your Audi is fairly used or completely totaled due to an accident or the march of time, we will offer a cash for it. And we will remove it for free as well. This offer is not limited to just a few models, it is inclusive of every Audi model ever made. This means that we purchase Audi A series, the Q series, in fact all the S’s. Every RS model too. We love them all and will pay through the nose just to get one or two or ten. That’s right. BMW is well established auto manufacturer with rich history, too. We will gladly offer cash for BMW Sedan, Coupe, SUV, Hatchback. If you have X5 mid-sized SUV and you want to sell it, sell it to us! Just as an aside, we offer free pick up and removal for all vehicles including cars, trucks, 4WD, Utes & SUVs and the BMW’s are no exception. Check out a brief guide to Truck Salvage. Mercedes-Benz is a household name, but not commonly a household car. They tend to be owned by people with slightly higher income levels than your average family. For this reason a lot of their models are considered luxury level investments. We will definitely pay most handsomely for any Mercedes Benz model for precisely that reason. This means all the Classes: A class all the way to SLK class, and add to that A, B, C, E, G’s as well. As a leading Auckland cars wrecker, We take these cars and dismantle them with the motivation of selling any and all the re-usable components, refurbishing them as needed. Because we take in all makes and models, including all European brands and their respective models, we have a veritable buffet of used parts on hand in our extensive inventory for anyone looking for that hard to find part. Our auto dismantlers team is experienced and skilled at finding things fast, and you will find their help in finding your part to be of great service. So if you live in Auckland and want a European part to look no further than Cars Wrecker. Book your used European car part in Auckland now. Call 0800 70 70 99 or fill out the easy and simple online form on our webpage, and receive a free quote. This is the stress free, simple and convenient method for selling your vehicle. Don’t waste any time and get in touch with European Car Salvage today. We are a cash for European secondhand cars company that services all suburbs in Auckland, including: car wreckers Takapuna, car wreckers Silverdale, car wreckers Henderson, car wreckers Papakura, car wreckers Waitakere, car wreckers east Auckland, car wreckers South Auckland, car wreckers Manurewa, car wreckers West Auckland, car wreckers Whangarei, car wreckers Huntly. This entry was posted in Uncategorized and tagged ALFAROMEO, AUDI, audi car wreckers Auckland, BMW, bmw car wreckers Auckland, CHRYSLER, CITROEN, citroen car wreckers Auckland, European Car Dismantlers Auckland, European car parts Auckland, European Car Salvage, European Car Salvage NZ, FIAT, Fiat Car Salvage, FORD, ford car wreckers Auckland, JAGUAR, LAND ROVER, landrover car wreckers Auckland, MERCEDES, mercedes car wreckers Auckland, MINI, opel car wreckers Auckland, PEUGEOT, Peugeot car wreckers auckland, PORSCHE, RENAULT, renault car wreckers Auckland, SAAB, SEAT, SKODA, skoda car wreckers Auckland, VOLKSWAGEN AND OPEL., VOLVO, volvo car wreckers Auckland on September 27, 2017 by Cars Wrecker. Peugeot Wreckers pay cash for your Peugeot, whether complete, accident damaged, running or in need of WOF. Whether your Peugeot is in Auckland suburbs or anywhere in North Island, we can organize transport and make either cash or payment direct to your bank account. Recycling your Peugeot with us ensures all usable parts are dismantled carefully, cleaned, reconditioned or repaired if needed, and then reused by other Peugeot. We sell New, Secondhand, and Reconditioned Peugeot Parts. We ship/courier/freight/post Peugeot Parts throughout New Zealand. We provide assistance and advice to get the correct Peugeot Part to fix your particular Peugeot problem. You’re then free to choose the best part vehicle that suits your needs, whether you want the cheapest offer or a part in a specific condition, you are under no obligation to purchase any of the offers you receive. Auckland Peugeot Wreckers have been attending to the needs of Peugeot owners since early 2000 and employ people who are committed to Peugeot and Renault cars and their continued reliable service. 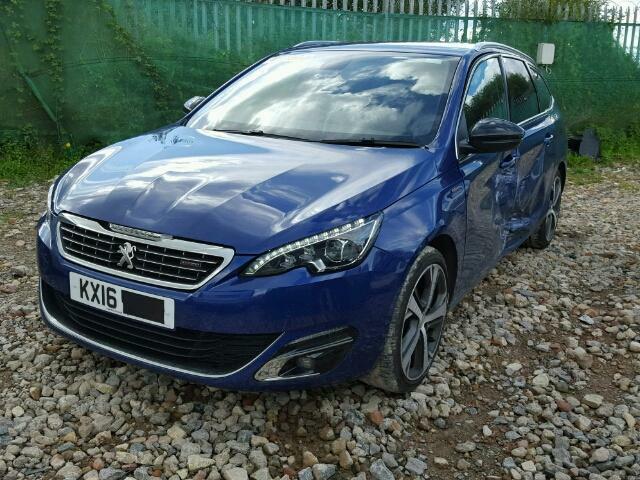 Our aim is to supply you the Peugeot part that you require. If we do not have a quality used part in stock in our extensive work shop and ware house then we will either find out who can supply you through our New Zealand network of Peugeot wreckers or we will obtain a Peugeot used part at our discounted prices. If you are in Auckland and you want to get rid of your any Peugeot car, van, or 4×4 for cash then call to 0800707099. Cash for cars Auckland are professional and licensed Peugeot wreckers in Auckland. We buy all models of Peugeot for wrecking and we pay instant cash on same day. Doesn’t matter if your Peugeot vehicle is used, old, damaged, scrap or unwanted, we’ll still buy it for wrecking with our free removal service in Auckland. We offer good money for all Peugeot cars, vans, utes and 4wds. We welcome Peugeot in any condition, make, model and age with free pick up, towing, car removal in Auckland. That’s why we are best in Peugeot wrecking. You get paid on the spot and on the same day with our fast and reliable cash for Peugeot car wrecking service. Our removal facility is free throughout Auckland. If you’ve any model of Peugeot car, van, 4×4 wrekcers in Auckland that is old, used, junk, scrap or damaged with internal and external mechanical issues. Then don’t spend dollar to get fixed your Peugeot vehicle. Wreck these Peugeot vehicles with our Peugeot wrecker service and get instant cash for it. After getting details of your Peugeot vehicle, we can pay up to $19000 for wrecking any Peugeot vehicle regardless of your location of your vehicle. For us, every Peugeot vehicle is important for wrecking. And that’s why we welcome all Peugeot of any model. We buy all Peugeot 4wd in any condition and anywhere in Auckland. We pay decent amount of money for all Peugeot 4wds in Auckland. You can get up to $19000 cash on spot for wrecking your Peugeot 4wd at your own location. You don’t need to tow it or drive it to our locations. Our pick up and car removal service is free of charge if you are in Auckland. Get cash today with instant calling on 0800 70 70 99 and sell your Peugeot 4wd to us for wrecking. Here are some 4wds that we love to buy for wrecking with top money for it. Find other car manufacturers: Toyota wreckers Auckland, Nissan wreckers Auckland, Mitsubishi wreckers Auckland, Honda wreckers Auckland, Isuzu wreckers Auckland, Mazda wreckers Auckland, Subaru wreckers Auckland, Audi wreckers Auckland, Alfaromeo wreckers Auckland, Volkswagen wreckers Auckland, Ford wreckers Auckland. This entry was posted in auto salvage and tagged Peugeot 2008 WRECKERS, Peugeot 3008 wrecking, Peugeot 4008 wrecking, Peugeot 5008 wrecking, peugeot car recyclers auckland, Peugeot car wreckers auckland, Peugeot dismantlers auckland, Peugeot recyclers auckland, Peugeot spare auckland, Peugeot spare parts, Peugeot wheels auckland, Peugeot Wreckers, peugeot wreckers auckland, Peugeot Wreckers car parts, Peugeot Wreckers North Shore, Peugeot wreckers sell parts Auckland on July 6, 2015 by Cars Wrecker.